The 10 Best RV Trips To Take In North Dakota - Must See! North Dakota is a quiet, unassuming state, known for its arid Badlands and windswept Great Plains. It’s one of those states that sits in the background, inconspicuous and often completely unnoticed. In fact, one might not even remember North Dakota at all if it weren’t for its largest city and the blockbuster movie of the same name, Fargo. But the state’s tendency to be overlooked is also part of its charm. With an exceptionally low population and miles of untouched natural beauty, North Dakota has an otherworldly allure. Traveling through North Dakota is like traveling through a vast, undiscovered wilderness. As you can imagine, North Dakota is a top destination on many RVers’ itineraries. The Great Plains promise a scenic drive, with miles of grasslands stretching out toward the horizon and beyond. It’s the perfect time to roll down your window, turn up the music, and quite literally enjoy the ride. 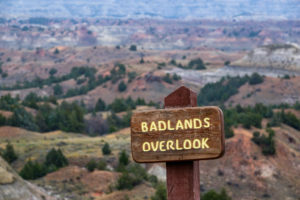 North Dakota’s Badlands offer a different type of experience, though just as introspective as the Great Plains. Here, strange landforms cover the landscape, which only adds to the feeling of being on some distant, forgotten planet. North Dakota isn’t completely devoid of people, though. In fact, in recent years, the state has seen the largest population growth in the country. Fargo, Bismarck, and Grand Forks, the largest cities in North Dakota, offer an array of modern-day attractions and nightlife. Outdoor recreation is plentiful throughout the state as well, and there are dozens of campgrounds and RV parks in North Dakota where weary travelers can rest their heads. 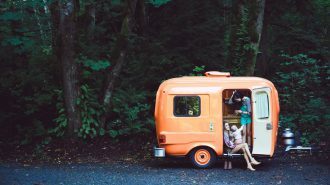 Of course, there are also these top ten RV trip destinations you must see if you’re in the Roughrider State. Let’s start the list with one of the best-known attractions in the state: Theodore Roosevelt National Park. Roosevelt first traveled to the Badlands of North Dakota in 1883. His experiences as a rancher led him to influence conservation policies when he was President from 1901-1909. The park was officially established in 1978, and remains a protected habitat for Bison to this day. Wildlife observation is a popular activity in the park, as its unique landscape is home to many species that one would have difficulty finding elsewhere. 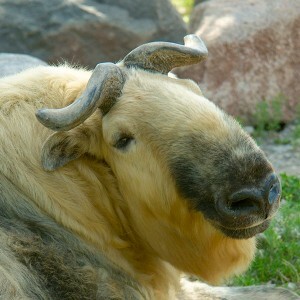 Bison, wild horses, golden eagles, and bighorn sheep are just a few of the animals that roam the land and skies. Other activities include horseback riding, hiking, and ranger programs. The two main units of the park have scenic drives, ranging from 14 to 36 miles long. There are two campgrounds in the park, both of which can accommodate RVs for dry camping. There are no electricity or water hookups, though there are running water spigots and bathrooms (no showers, though). Most sites are first-come, first served, though there are a few sites at the Cottonwood Campground that take reservations. Rates start at $14 per night in the summer. The Red River Zoo is a big attraction due to its unique wildlife. Like many other zoos, it’s a non-profit agency, and it strives to protect wildlife and wildlife habitats. However, unlike other zoos, this very special zoo is home to some of the rarest cold weather animals on the planet. From the adorable Pallas’ Cat to the strange-looking Sichuan Takin, there are plenty of odd and obscure species to see. The Gray Wolfpack is a family favorite. There’s lots more to do at the zoo as well, including a beautiful indoor carousel and a variety of regular events and educational programs. If you get hungry, stop by the Dancing Crane Café for a hot meal, or grab some Dippin’ Dots and watch the kids go ‘round on the carousel. Don’t forget to stop by the brand-new Children’s Zoo Farm, where kids can learn about fauna and flora in an interactive environment. Lindenwood Campground is convenient to downtown Fargo and all its amenities. It’s a wooded campsite that sits on the Red River, offering a peaceful respite from the busy city. 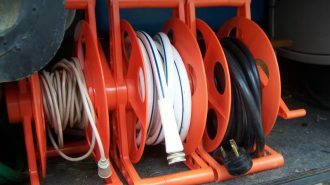 There are 47 sites with water and electric hookups. Rates start at $29 per night with hookups. Fort Mandan is a part of the Lewis and Clark Interpretive Center. The Center preserves the history of Lewis and Clark’s journey across western North America and has several sites throughout the region. 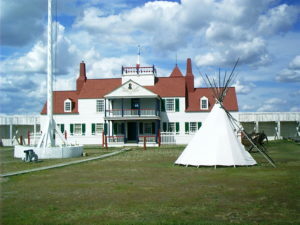 The Fort Mandan site is a recreation of the expedition’s home during the winter of 1804. Visitors can step into the fort and step back in time to experience life as a 19th-century member of the Corps of Discovery. There’s also a museum on site with several new exhibits. Kids will enjoy the interactive displays and a collection of items from the expedition, including an extremely rare, working air rifle. There are a few other exhibits that tell the stories of Native American tribes in North Dakota, as well as the state’s agricultural history. Price: $7.50 for adults, free for students (K-college) until 2018. Fort Abraham Lincoln State Park is an excellent local campground. It features a reconstruction of General Custer’s last home, tight on the banks of the Missouri River. 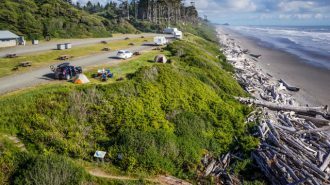 There are 95 RV sites with water and electric hookups, as well as bathrooms, showers, and a playground. Rates are $5 to camp, and $6 to explore the fort and its outbuildings. Buffalo are an important part of North Dakota’s national history. Thanks to Theodore Roosevelt’s conservation efforts in the late 1800’s, buffalo were saved from near extinction. At the time, there were only a few small, unprotected herds scattered throughout the country. Today, there are more than 500,000 buffalo in the United States. The National Buffalo Museum depicts the importance of buffalo in Plains Indian culture. You’ll find artwork, artifacts, and a collection of items on display. But the live buffalo herd is the real attraction here. There are roughly 200 acres of land along I-94, where buffalo can be seen grazing freely. It’s here that you can catch a glimpse of the two remaining legendary albino buffalo, Dakota Miracle, and Dakota Legend. Drive this stretch of highway slowly and with any luck, you might just be rewarded with a rare albino buffalo sighting. Price: $8.00 for adults, $6.00 for seniors and active military, $6.00 for kids 5-14, free for kids under 5. Frontier Fort RV Park is right across the street from the museum. 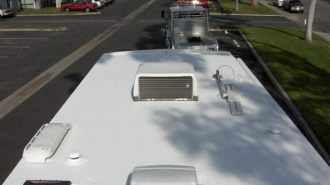 It’s a clean, yet stripped-down RV park that can accommodate even the largest rigs. 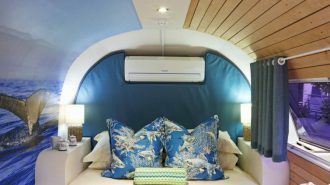 They offer full hookups, Wi-Fi, and bath and laundry facilities. Rates vary from $25 to $50 per night. During the mid-19th century, Fort Union was a bustling hub for fur trading. Here, Native American tribes gathered to make commerce, selling buffalo hides and animal furs for goods. Man-made materials poured in from eight different countries across the globe. The Fort became one of busiest in North America, selling more than $100,000 worth of merchandise annually. 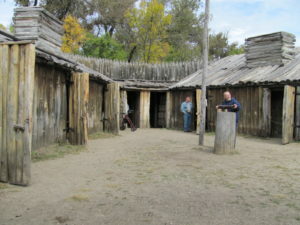 Modern-day visitors can attend the Fort Union Rendezvous and see actors play out scenes from upper Missouri’s fur trade history. The annual Fur Trade Fair takes place the third weekend of June, and guests can see demonstrations, buy and trade goods, and speak with live history actors. If you don’t make it to the fair, don’t worry; the park rangers are just as happy to share the history of this important landmark, any time of year. It seems that every state has a handful of abandoned sites that draw visitors. 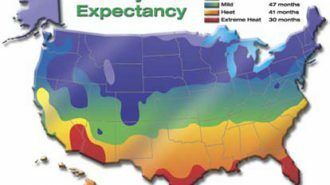 North Dakota’s might be one of the weirdest. 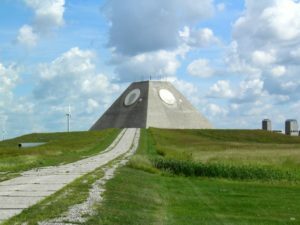 The abandoned pyramid in rural Nekoma was once part of a multi-billion-dollar complex of missile silos. Built in 1975, the Stanley R. Mickelson Safeguard Complex would have served as a defensive military base had the Cold War continued to escalate. However, it didn’t, and the pyramid was shut down just 48 days after operations began. Visiting the pyramid is a strange experience. It sits basically in the middle of nowhere; the town of Nekoma has a population of just over 50 people. Stranger still, the pyramid itself looks like an altar to an alien god or something out of a dystopian novel. Don’t forget to bring your camera if you want to try and capture the eerie vibe of this relic of nuclear history. Unfortunately, there aren’t any designated campgrounds in the vicinity. The closest one is Bayview RV Park in Devil’s Lake, about 45 miles away. 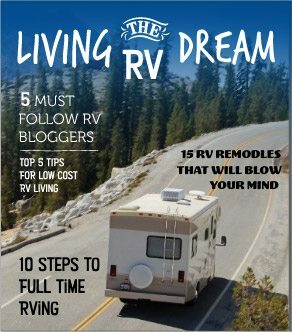 Find other places to stay in the area by checking this list of RV parking in North Dakota. Or, you could always try boondocking outside the pyramid site, if you dare. You wouldn’t think North Dakota would be home to (what is believed to be) the only museum that represents all five Nordic countries. But alas, it is. The museum has a collection of buildings, art, and artifacts that represent Sweden, Norway, Denmark, Finland, and Iceland. 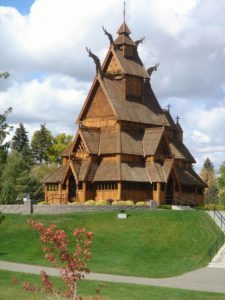 Attractions include an impressive replica of a Norwegian church, a 25-foot tall Swedish horse, a Danish windmill, a Finnish sauna, and more. Roughrider campground is a top-rated park in the area. 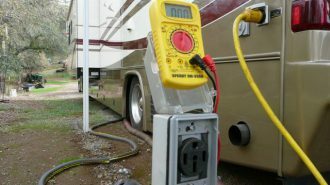 There are 115 RV sites offers full hookups and basic water/electric hookups. Park amenities include a lake and river, sports field, hiking trails, and outdoor games. Rates start at $45 per day for full hookups and Wi-Fi. 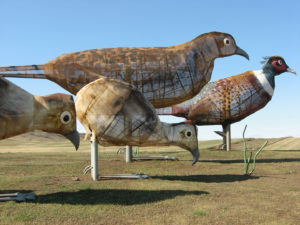 The Enchanted Highway begins in Regent, ND and goes for 32 miles along Highway 21. It’s a beautiful stretch of land in the North Dakota prairie and would constitute as a nice, scenic drive on its own. However, the large metal sculptures are what make the Enchanted Highway a popular tourist attraction. In 1989, a local native of Regent, Gary Greff, built seven enormous scrap metal sculptures along the route. Having no prior sculpting experience might have been a hindrance for some, but Gary completed his sculptures and even garnered a few awards for his work. The nearby B&M RV Park is just off the highway and offers 22 RV sites with full hookups. You can register at the Enchanted Highway Gift Shop for an overnight stay. (Don’t forget to pick up a souvenir while you’re there). Rates are unlisted. Chances are, you’ll want to stop in Fargo while you’re in North Dakota, either for the Red River Zoo or one of the many other city attractions. When you arrive, stop first at the Fargo-Moorhead Visitor’s Center. 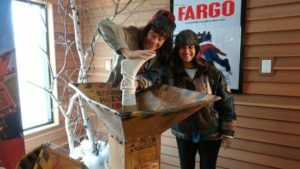 Like the city itself, the visitors center is a bit eccentric – or as they like to call it, “North of Normal.” There are a few things you’ll want to check out at the visitor’s center, but the main attraction is the infamous wood chipper from the 1996 movie Fargo. You know, the one that obliterated Steve Buscemi. So, grab a camera and strike a pose with the disembodied plastic leg before you head out to explore the rest of the city. Our last Fargo excursion found us camping at Lindenwood Campground, convenient to most of the city’s amenities. 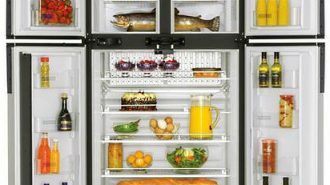 It’s also close to several RV storage companies and RV dealers in North Dakota. 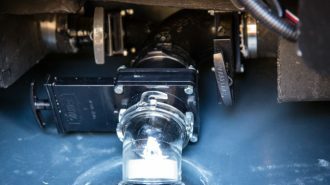 So, if your RV is in need of repair, maintenance, or accessories, you’re not far from assistance. 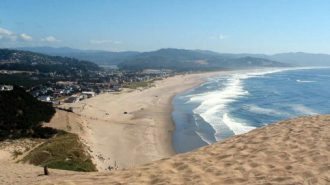 Pack up your toy hauler and bring your ATV to this last destination, because you’re going to want it. 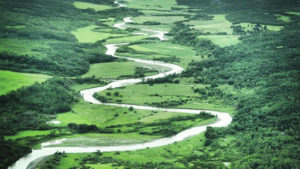 While Pembina Gorge welcomes explorers of all types – hiking, biking, and horseback riding are all fine – it mostly serves as an ATVers paradise. It covers roughly 12,500 acres of sprawling woodlands and grasslands in the Pembina Hills region. This GORGE-ous (get it?) swath of land is home to a multitude of diverse natural habitats and rare plant and animal species. Miles of ATV-optimized trails await you, as well as plenty of opportunities to explore on foot, by canoe, or on horseback. 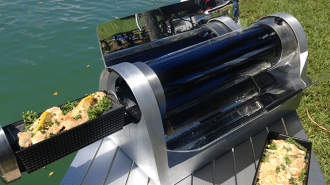 Riverside Park is located in Walhalla and offers electric and water hookups. Amenities include a heated pool, an outdoor stage, outdoor sports courts, access to the river, and more. Rates start at $25 per night.